Never mind the missing flare... It’s back on now. I’m my never ending quest to actually do something with my XJ, I’m actually considering downsizing the lift and tires. My previous XJ that rusted to oblivion and donated its drivetrain to this Jeep had a 3" lift and 31x10.50 tires with 3.55 gears and an AW4 autotragic. It got anywhere from 13-15 MPG, it drove like stock, and went anywhere I wanted it to go. When I put this Jeep together and went with a 6.5" lift and 33x12.50s, it drove like absolute sheeeeeeeiiiiiiit. I took it from long arms back to stock short arms on drop brackets, installed stock style rubber bushings in the track bar, added shackle relocation brackets and swapped the cheap white shocks for Bilstein 5100s, and swapped the 33x12.50 mud tires for 33/10.50 BFG KO2s and it drives sorta okay now. The high COG makes me nervous and I nearly defecate every time I go around a curve. I don’t feel like I gained all that much in the way of offroad capability going with the larger lift and tires, but I don’t wheel it crazy hard any more anyway (I don’t want to beat the poor thing up- the body is straight as and arrow without a speck of rust). All I want to do is cruise around in the woods with my kids and maybe set it up for some future overland trips. The biggest issue is with the extent of supporting mods. 4.56 gears, longer driveshafts, etc. I’d definitely want taller gears with 31s... And then there’s the issue that the last time I drove an XJ with the proposed setup was roughly 9 years ago so maybe it drove horribly and my memory is deceiving me. Should I just drop 500 bucks on a Currie Antirock and live with the big lift? 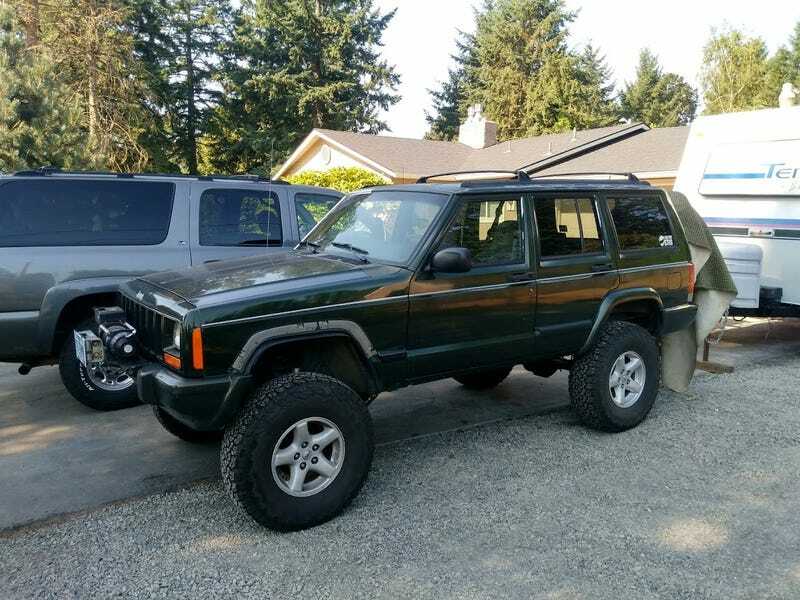 Or should I just keep shuffling the Jeep around, occasionally driving it, sorta not liking it but having fond memories of it and refusing to sell it but never actually doing anything with it?